Adding assets on to any audit solution is a time intensive task. This is especially the case for schools due to the number of assets they own, many of which are also high value assets such as tablets, PC’s and Laptops. As a school, with assets spread around what can sometimes be multiple buildings, it can take several hours if not days to accurately record every assets details. 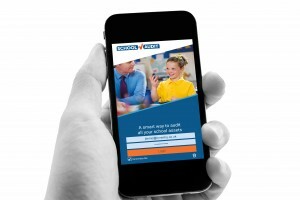 The ultimate school asset management solution. Designed specifically for education, School Audit is a simple and yet cost effective asset management system. The system can be managed through a cloud based portal with easy to use apps, giving you complete control over the life cycle of your assets, and budget planning. To save schools time and SchoolCare can help by sending in a Audit Team who will carefully find and add all of your assets to the management system. How long the audit will take will depend on the size of the school – For a quote from SchoolCare please get in touch on 0333 240 2626. What is a school asset management system? A school asset management system gives you the ability to keep a log and records of every piece of equipment in your school through a software and/or device application. This helps you to better manage the current location of the equipment on your site. The software is simple, smart, effective, and gives you access to live accurate data at all times. InVentry provides the most comprehensive asset and compliance management software on the market. If you would like to find out more or if you would like to book a demonstration, please get in touch today.